Home Society PR This Week ‘Choice Best Prize-Linked Retail Investment Product 2017’ Goes To..
‘Choice Best Prize-Linked Retail Investment Product 2017’ Goes To..
Kuwait Finance House – Bahrain (KFH-Bahrain) has received the ‘Critics’ Choice Best Prize-Linked Retail Investment Product 2017’ for its ‘Libshara’ Investment Savings Account during the 3rd Islamic Retail Banking Awards held in Dubai, UAE. During the gala dinner, Mr. Khalid Rafea, Executive Manager and Head of Retail Banking Group at KFH-Bahrain, received the award from Cambridge IF Analytica. “To-date, more than 4,000 winners were awarded with cash prizes, luxurious cars and real estate including lands in Diyar Al Muharraq and apartments at Marasi Al Bahrain as well as villas in Durrat Al Bahrain and Ishbiliya Village. We have witnessed tremendous interest in ‘Libshara’ since it was introduced, and a continuous increase in client participation. We remain committed to meeting and exceeding customer expectations,” he added. 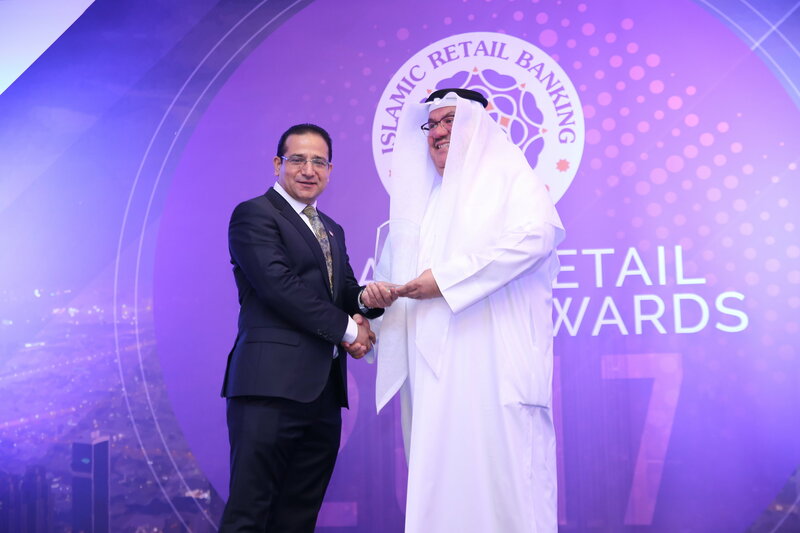 The Islamic Retail Banking Awards or IRBA for short is the first-of-its-kind Islamic banking awards programme based on the most academically rigorous analysis of global Islamic banking efficiency performance. Winners are rigorously assessed by a panel of independent experts based on the new efficiency model developed by Cambridge IF Analytica. These prestigious awards honour individuals and institutions who have demonstrated great commitment and made significant contributions to the development, growth and success of Islamic Retail Banking. The ‘Libshara’ Savings Investment Account is a Sharia’a compliant savings scheme that offers clients valuable monthly prizes. For every BD50 or its equivalent in USD saved for a period of 30 days prior to the end of the month, clients are entitled to enter the raffle and can increase their chances of winning one of the many exciting prizes. An investment period of 90 days is equal to one chance at entering the raffle draw, whereas 180 days gives two chances and 360 days is three chances. The ‘Libshara’ Savings Investment Account is available to citizens and residents of the Kingdom of Bahrain and the GCC who are 18 years and above or by a legal guardian on behalf of a minor. It is also available to establishments and corporations. The account can be opened in Bahraini dinars or US dollars.